So it seems that http://www.discourse.org/ is the new way that forums should work. 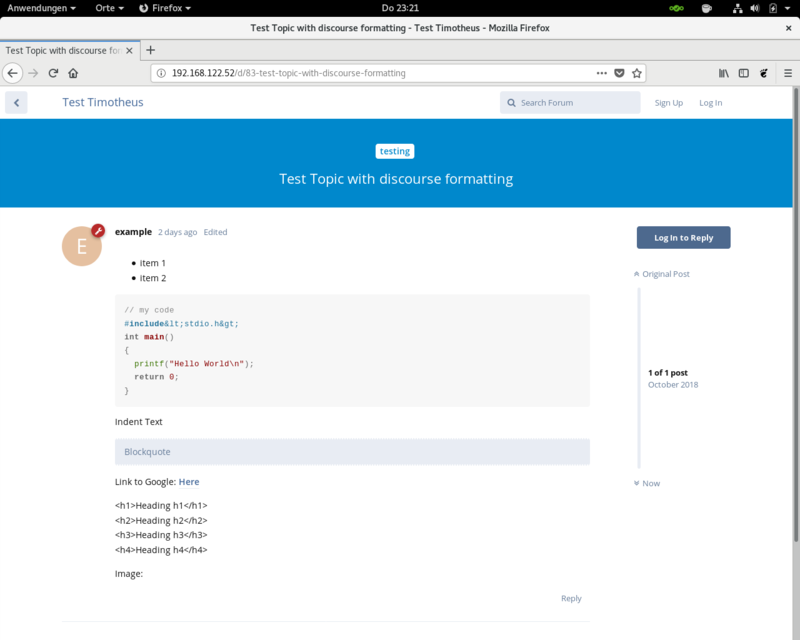 Discourse uses Ruby on Rails, Redis and Postgresql on the server side. This means it is quite different than the LAMP stack that you might be used to. I have tried that, but I must say that docker is intended for different kind of applications, if I understand correctly: for deployment of many applications in the cloud, and the data is stored not inside the Docker container but somewhere else. 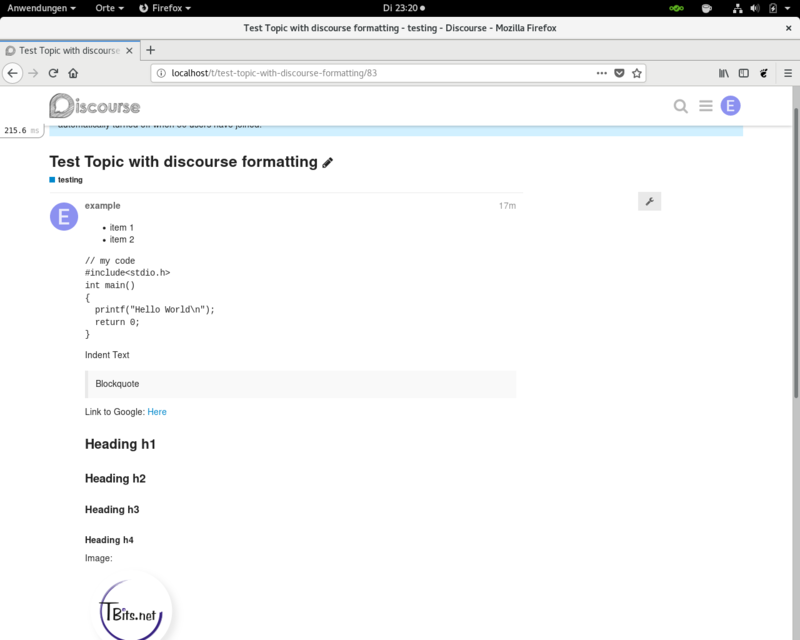 So I followed the instructions at https://packager.io/gh/pkgr/discourse/install?bid=41#trusty to install Discourse on my Ubuntu 14.04 trusty container. Before I actually import the phpBB data, I disable sending of all emails in Discourse, in Settings/EMail, disable sending of all emails. Now I need to load the environment variables, so that I use the correct version of Ruby and gems etc. Now you can enable sending of emails again. You could actually create a backup of Discourse, reinstall the container, to get rid of the Mysql database, and import the backup. I am very glad for the hosted apps that Sourceforge provides. It is excellent to have only one login, and not to need to worry about updating the apps. Therefore I thought it would be good to have an external script, that regularly checks for new posts and sends an email with the contents. In the end, it was not too hard. This only works for a public forum, where all posts are accessible by non-registered users. There is the page search.php (eg.http://sourceforge.net/apps/phpbb/openpetraorg/search.php?&sr=topics&search_id=newposts) that shows all new posts. I store each post that has been sent as an email with the post number in a text file. Then the script fetches the page of the new posts, and checks each post if it has been sent already. The script sends HTML emails, and even quoting blocks appear quite alright in my email client (google mail). 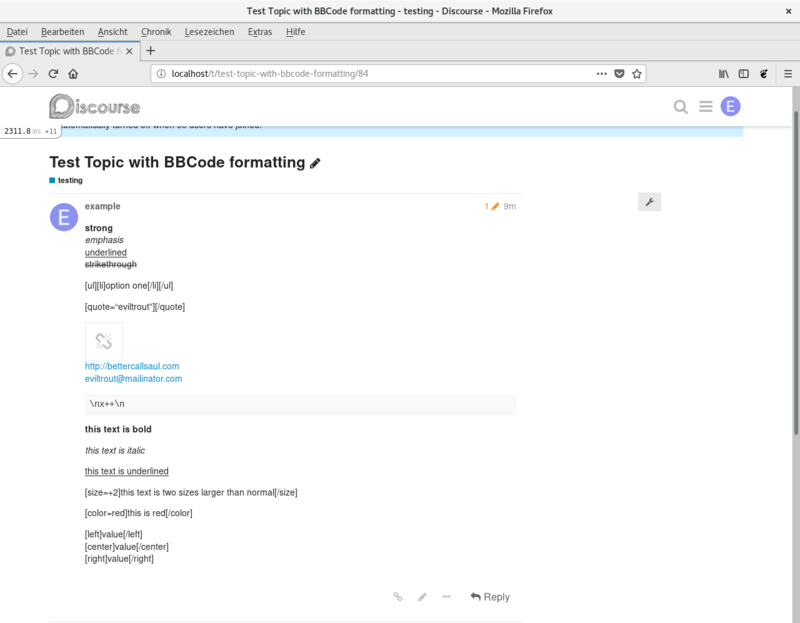 The script is also able to parse the posts of a thread that spreads across several pages. 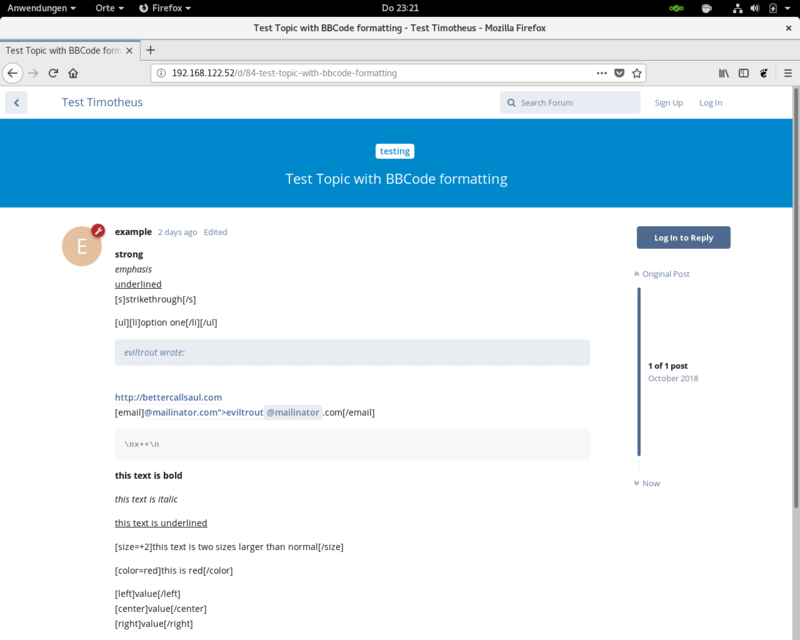 You also might find the functions interesting to get the HTML code and to parse for code between the beginning and the end tag. Feel free to use the script and to modify it.